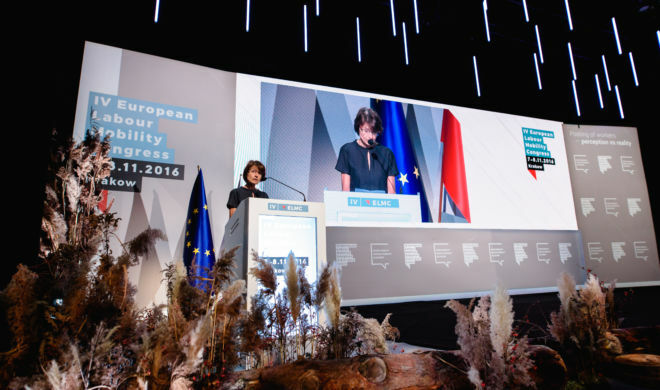 We encourage to read the speech by Marianne Thyssen (European Commissioner for Employment, Social Affairs, Skills and Labour Mobility), which she gave at the IV European Labour Mobility Congress in Cracow. In its preamble, the signatories solemnly stated that they are “determined to promote economic and social progress for their people”. And Article 3 of the Treaty says that “The Union’s aim is to promote peace, its values and the well-being of its people” and that “The Union shall work for the sustainable development of Europe based on balanced economic growth and price stability and a highly competitive social market economy, aiming at full employment and social progress…”. Secondly, the yard-stick is clear. It is not ‘average pay’ or ‘the pay of a hypothetical worker’. It is what that particular worker, as a minimum, is entitled to under the binding rules of the host country. Another important task for public authorities is to provide information to workers and businesses about their rights and obligations in cross-border situations. For prevention is always better than cure. Information should be provided not only to those who arrive but also to those who are posted abroad. More than 400.000 people a year in Poland. It is important that those workers are aware of their rights and that trade unions and public bodies help them enforce their rights, at home as well as abroad. V European Labour Mobility Congress - we know the date!